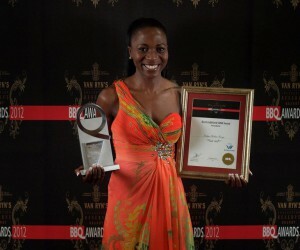 South Africa’s most prominent black businesses and black business leaders were celebrated at the 2012 Van Ryn's BBQ Awards, held at Emperors Palace in Kempton Park, Ekurhuleni, on 19 October. She added that the progress of black entrepreneurs in the economy is extremely varied, with a handful of symbolic cases that are truly representative of the original intent of empowerment. “This represents the unfortunate propensity of some sectors of business to reduce the spirit of transformation to a mere compliance to legislative requirements and that of aspirant black entrepreneurs to enter into 'get-rich-quickly' schemes. “Consequently, there has been a proliferation of so-called 'arm-chair' beneficiaries of empowerment, who only benefit financially and are not involved in the business operations. Now in its eleventh year, the competition was launched in 2002 to promote sustainable black business in South Africa. According to Kekeletso Khena, Director of the eleventh annual Van Ryn's BBQ Awards, the awards were born as a result of a need to recognise, honour and celebrate black business excellence at a time when black business was synonymous with informal and township trading. 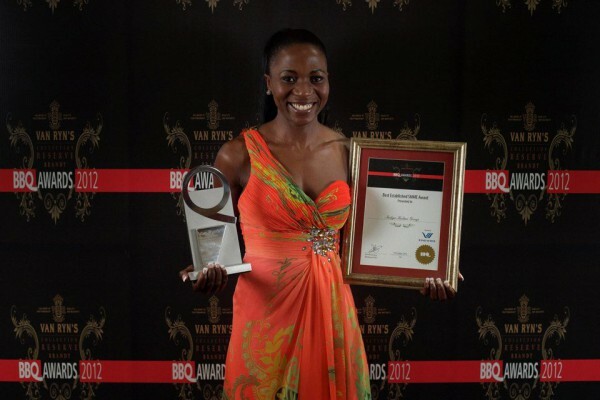 The 2012 Van Ryn's BBQ Awards included 14 categories, honouring individuals, black-owned and empowered companies, as well as organisations in South Africa. Out of the nine individual awards, seven were females – the most in the history of the awards. Nhlanhla Mjoli-Mncube, was awarded the prestigious "BBQ Platinum Visionary Award", which is awarded to an individual who has a combination of heart and head and positions themselves as a true leader of transformation. As chairperson of the housing finance company, Nurcha, and managing director of Mjoli Development Group, a company that provides access to finance for female entrepreneurs in South Africa, Mjoli-Mncube has extensive experience in housing and development finance, gender and SMME development. The "Businesswoman of the Year Award" was awarded to Sibongile Manganyi, who at just 32, is the founder and group managing director of the 100% black and women-owned Indigo Kulani Group, a multidisciplinary holding company, which she established when she was just 26. "Businessman of the Year Award" was awarded to Vusi Sithole, founder of Nestlife Assurance. Sithole’s story is one of perseverance, determination and willingness to create a legacy for himself and future generations. “I want to leave a legacy that shows what you can achieve if you want something badly enough and are willing to work for it, without a hand-out from the system,” says Sithole. The "Young Business Achiever Award" was awarded to Mushra Hartley who, through her numerous business endeavours, has strongly focused on empowering the women she works with, focusing not only on their ability to do the job, but on their confidence. Nomvula Mokonyane was awarded the "Public Sector Visionary Award" for her contribution to the public sector and the role she played. A struggle veteran, Mokonyane was active in the fight against apartheid from age 15 and has since occupied various positions from the organiser in the Federation of Transvaal Women and leader of the Kagiso Residents’ Organisation to Premier of Gauteng and MEC for Safety and Liaison and Housing. Other individual category winners included Malebana Makhafola of Mars Healthcare Group, who was awarded the "New Entrepreneur Award", and Lebogang Luvuno, founder of Motopi CSI Consulting, walked away with the "Community Builder of the Year". The "Best Established Black Business Award" was awarded to the Sebata Group, an innovative engineering company with a strong focus on the African context built on the African spirits of Ubuntu and Letsema. Other organisation category winners include: Vuma Reputation Management who won the "New and Innovative Business Award", the Eastern Cape Gambling and Betting Board took the "Ubuntu/Corporate Social Investment Award"; and Indigo Kulani Group, an integrated multi-disciplinary infrastructure development group of companies within the built environment, that serves both local and international clients, walked away with the "Best Established SMME Award". In keeping with the awards’ theme, "creating a legacy and building a future", three new award categories were introduced this year, namely the "Iqhawe Mentorship Award", awarded to Tabisa Nomnganga of Bravo Promotions, "Best Employer Award", awarded to Khayelitsha Cookies and the "Transformation Champion of The Year", which was awarded to Nolwandle Mantashe of PPC Cement, for her role in comprising corporate transformation strategies, as well as implementing community and government stakeholder relations strategies. Speaking on the quality of the winners this year was Vusi Tembekwayo, professional speaker and judge for this year’s awards. “The quality of entrants this year was exceptional, and having been a finalist a few years ago, I can at first hand see how the calibre of entrants have grown in leaps and bounds. Also speaking at the awards was the CEO of the Industrial Development Corporation (IDC), Geoffery Qhena. “As we celebrate success tonight, let’s also pay tribute to self-made icons, legends of business who under difficult circumstances, persevered and succeeded and are now recognised and respected as true entrepreneurs. “South Africa needs more of these entrepreneurs who are prepared to roll up their sleeves for the betterment of our fellow South Africans,” says Qhena.